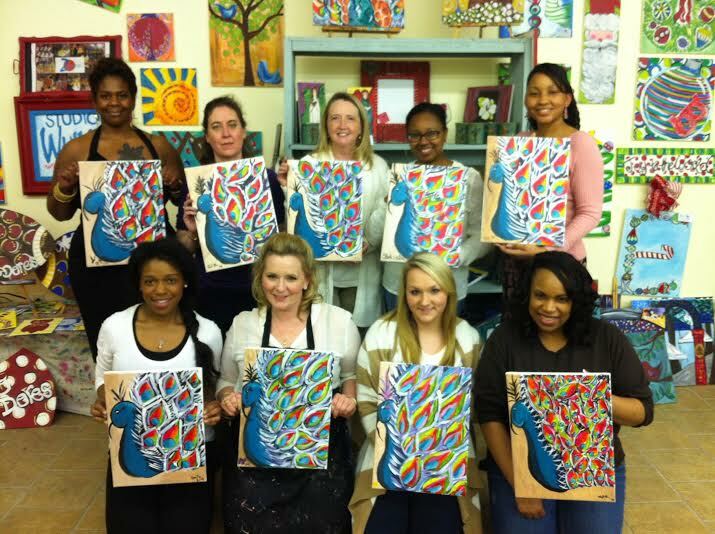 At Studio Whimzy, we love celebrating with you and your group. We have spent years celebrating birthdays, victories over cancer, new babies, graduates and holidays! We know your event is special and we treat it just that way. 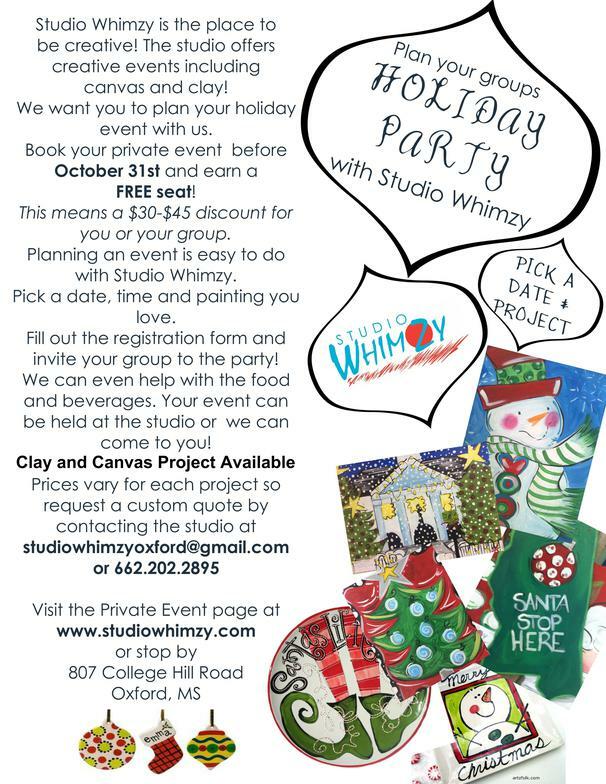 Studio Whimzy Private Events are also very simple to plan. Just send a request our way that includes DATE, TIME, and PROJECT REQUEST. We will then send back pricing information and availability. 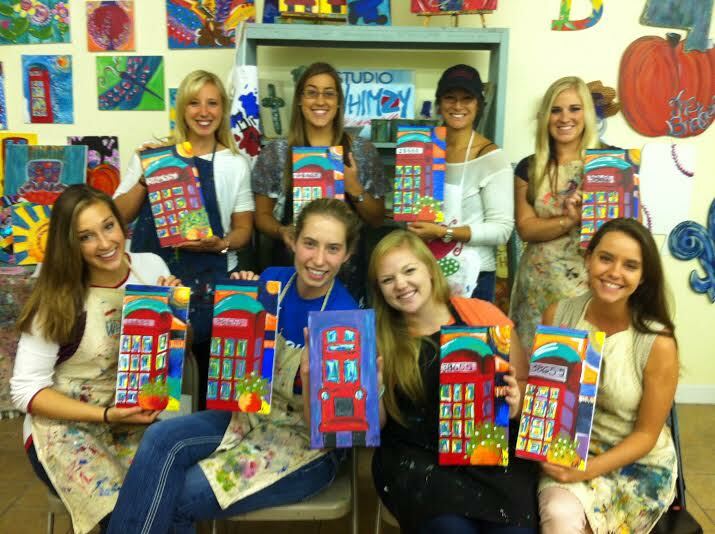 We can also help you decide on a perfect project for your group. Don't forget to ask about food and beverages! Bring your own or we can take care of it for you. 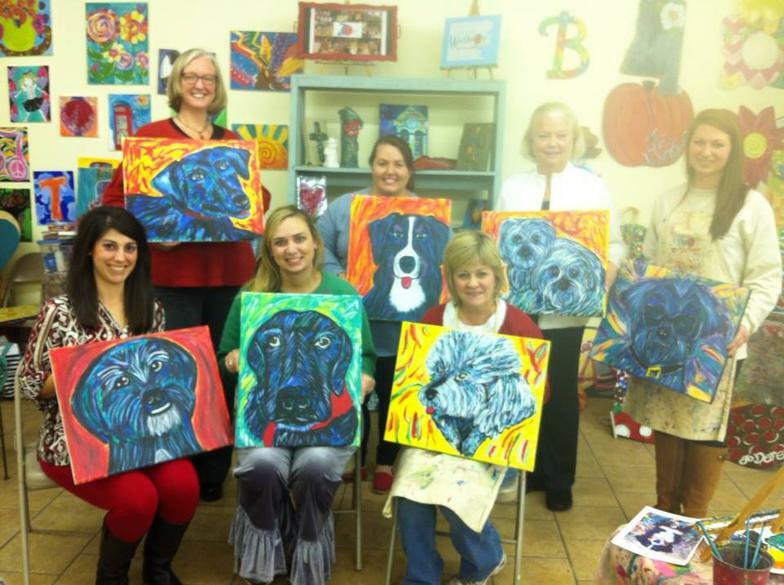 We offer projects on canvas and clay. Visit the gallery and pottery page here on the website to see some examples. We can even bring our studio to you! !